Here at East Surrey College we are delighted to be an integral part of the local community, and respected partner to a large and growing number of organisations spanning education, community and business. The state-of-the-art facilities at the College are available for you to book for business or community groups. 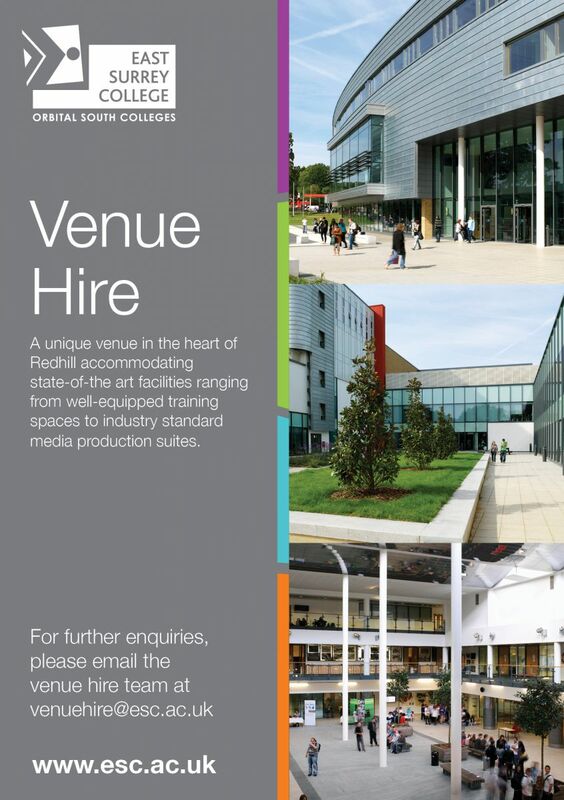 Take a look at our Venue Hire leaflet for an idea of the facilities and options that are available to you, whether it be for a one-off small meeting room hire, a weekly community/sports group booking or a major exhibition event venue. Click to view more to see what we have to offer.